Dubai: A day after the massive response for Saudi Aramco’s $12 billion (Dh44 billion) bonds, its secondary listing had a ripple impact on Saudi sovereigns bonds. Saudi Aramco bond yields tightened in secondary listing, creating waves in Saudi sovereign bonds. Saudi Aramco’s 2049 bond yields were at 4.375 per cent, tighter compared to the launch yield of 4.463 per cent. As a result, Saudi Sovereign 2049 bonds yields also tightened to 4.46 per cent compared to 4.76 per cent at the start of the month. “Some yields registered their lowest in more than a year. It means that the cost of borrowing for sovereigns and corporates will be much lower than before. Aramco has brought the sovereigns yields down,” Mohammad Khnifer, debt capital markets senior associate at the Islamic Development Bank group told Gulf News. The bond issue has been defying market expectations on the bid size of even the pricing. Analysts had earlier predicted of a wider pricing compared to Saudi sovereigns. The $12 billion bond received bids worth in excess of $100 billion. 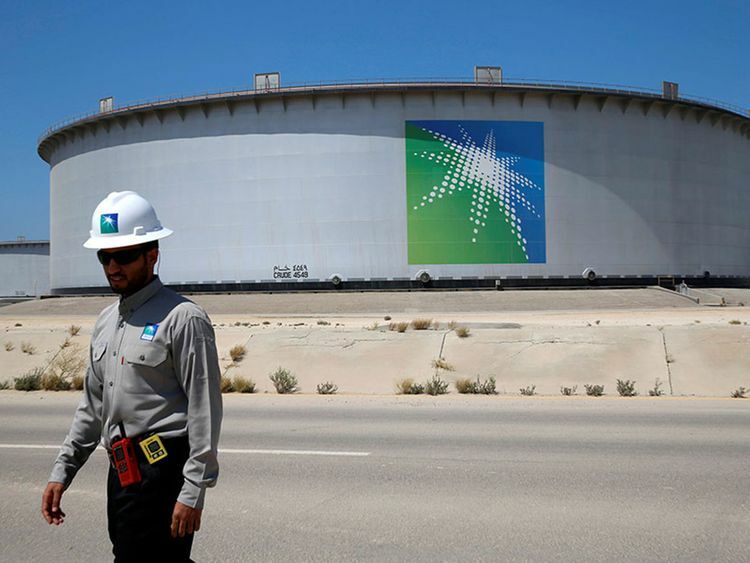 “For the first time, investors got a look into Aramco’s financials and were unsurprisingly excited by the strong cash generating ability of the company. Some yields registered their lowest in more than a year. It means that the cost of borrowing for sovereigns and corporates will be much lower than before. Aramco has brought the sovereigns yields down. "Aramco management and the book-runners also did a phenomenal job of marketing the transaction to US investment-grade only investors, whose current investable universe trade with a low spread, and who primarily underpinned the tight final pricing on Aramco,” Chandru Bhatia, Senior Portfolio Manager at Emirates NBD Asset Management told Gulf News. The final pricing was set at 20 basis points (bps) tighter with spreads set at 55 bps, 75 bps, 105 bps, 140 bps and 155 bps for the 3, 5, 10, 20 and 30-year tenors respectively, sources said. “There was new liquidity that we rarely see coming to Saudi Arabia. These were the investors who focused on investment grade, and those who invest in corporate bonds,” Khnifer said. “These two type of investors changed the level of pricing they turned the table against the traditional investors. EM investors had so many reservations on Aramco pricing. This new liquidity changed everything,” Khnifer said. Going ahead, the tighter yields are expected to continue. “The strong order books, despite the padding, suggest strong technicals are likely to persist on the new Aramco bonds, and should continue to offer a firm bid to Saudi sovereign and other high-grade GCC sovereign instruments,” Bhatia said.